School Gymnasts are on a Roll! 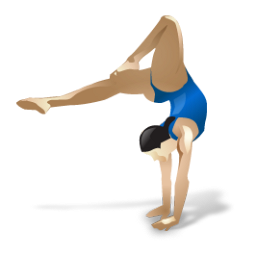 Over the past fortnight the school gymnasts have been very busy jumping, rolling and balancing in various competitions. Firstly, Clockhouse Primary School was selected to host the Havering Schools Key Steps 2 Competition for children in year's 3 and 4. Lucia B, Lacey S, Tristian O and Oliver E performed very well guiding the school to a 5th place finish. In addition to hosting the Key Steps 2 event, the school was also selected to host the Key Stage 3 event for children in year's 5 and 6. Holly W, Brooke A, Kaiden B and Riley S represented the school. A great show resulted in Clockhouse finishing runners up to a strong Towers Junior's team. There was also individual succes for Kaiden B in the vault and Holly W with her floor routine. Last Saturday 27 children from Clockhouse entered and participated in the Jaybee Schools Gymnastics Festival. Clockhouse had a hugely successful weekend winning the overall team trophies for Years 1/2 and Years 3-6! Mr Yarrow commented on the recent success saying 'I would like to praise every gymnast that has represented the school in the past fornight. I see in PE lessons and when I get a chance to pop into clubs just how hard these children train. All of you have done the school proud. It is great to have not one but two trophies to go in the cabinet! I must say a personal thank you to Jaybee Gymnastics School for all their hard work, working with the children. It makes a huge difference! It is great to see so many boys taking part, I know the gymnastic coaches are always looking for more children especially boys, if your child is interested in taking up gymnastics please get in contact me. The Clockhouse gymnasts had a busy end to the Spring Term. On Friday six gymnasts represented Clockhouse at the Havering Gymnastics competition and on the following day these gymnasts and others were back in action at the Jaybee Schools Gymnastic event. Jaybee is our school / club links providing the school with three high quality gymnastics clubs every week across the school. At the Havering event the school finished fourth overall. The team had a couple of gymnasts missing on the day but despite this the six children who represented the school were exceptional. We await individual scores where we hope for some success. Clockhouse were very successful in the Jaybee Schools Saturday event. The Key Stage 1 team were the highest scoring team winning the first trophy for the school this year. Whilst Sophie L was the highest scoring intermediate gymnast to compete and Lucia B was the highest scoring gymnast of the whole event. The two girls will receive trophies for their success. Mr Yarrow said 'I would like to thank all the gymnastic coaches from Jaybee. They do so much fantastic work with our children and are always available for advice where needed. Their commitment and dedication is great! Well done to the girls gym team who took part in a competition last Friday. The girls had to perform an individual floor routine, two vaults and a group routine. This competition is always a very hotly contested one and Clockhouse did very well. The children were a total credit to the school and managed to come an amazing 4th Place. We do not have the full results yet, but as Head Judge Mrs Ewenson will get these to us as soon as she can. Well done to the three girls who represented the school so well - Ruby N, Grace B and Jayla H.